Examination period can be a stressful time for both the parents and the child. 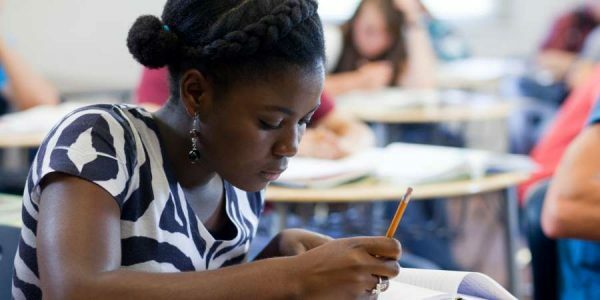 While exams can’t measure every aspect of a child’s strengths and are not necessarily indicators of future results and aspirations, exams are however a good check to know where your child is educationally. These few tips are important to help your child prepare for examinations. #1. Start revision early. At least two weeks before the exam, you should start scheduling regular periods in the evening to study. This way, they would be able to cover all the topics and be more confident as the day of exam approaches. Also, for younger children, its better to revise often for short periods than for long periods just before exam day. #2. Find a quiet place to revise Young children get easily distracted and more so when they are doing school work. So, it’s important to minimize or eliminate all distractions for effective revision. Find a space at home where your child can have an uninterrupted revision for half an hour and ensure all TVs are turned off. #3. Align revision tactics to your child’s preferred learning style/interest. Children have different ways that they prefer to learn – visual, verbal, social, etc. If our child is a visual learner, look for videos to make revision more engaging. If your child loves football, look for football themed worksheets and ways to relate topics to football. A social learner might benefit more from studying with a sibling and parent rather than the parent alone. #4. Find a practice exam. If your child is taking a standardized test, try and get past question papers. Even for school exams, look for exam papers of the previous years. Past exams papers help your child learn not just what type of questions are on the exam but how the exam is structured and formatted. #5. Plan time out for regular breaks. Children in primary schools’ average attention span a is around 30 minutes. Concentration reduced significantly after that. Short and regular break are necessary after every30- 60 minutes. These brief breaks can reduce stress, improve memory, and increase concentration. #6. Do the hard stuff first. With their short attention span and need for regular breaks, it is more effective to tackle the hard stuff/their weak points first. Children are at their most alert when they first start a revision session. So, this is the best time to do difficult subjects or area. Also, as concentration can be extended further when they get to subjects, they like or areas they are generally good at and find enjoyable. #7. Make revision fun – play fun games (like 9ijakids games of course). Make revision more interesting with games. Research shows that long term retention is achieved when learning is fun and engaging. 9ijakids games can be used as a fun revision tool. It improves retention, give immediate feedback on wrong answers and eliminates hassles of marking worksheets for the parents. Subscribe today at 9ijakids.com for your child to play fun educational games. Lastly, make sure your child goes to bed early the night before. Your child needs plenty of sleep before they take their exam. They should have at least eight hours of sleep so that they are alert when taking their exam.